Sources Foundation hasn't added a story. On May 15, a massive fire severely damaged 64 units and several businesses at White Rock's Five Corners, leaving more than 100 residents homeless for the foreseeable future. Help us raise funds to support those evacuees, who have been told it will be at least a year or more before they are able to return home. Donations will be forwarded to Sources Community Resource Centre, which is co-ordinating support and relief efforts for those impacted by the fire. Sources Foundation hasn't posted any updates yet. Sources Foundation is managing the funds for this campaign. 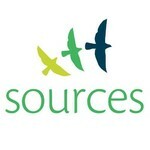 Sources Foundation is a verified organization.